My Card Attic: A New EF & A Bit Of A Disaster! Hello crafty friends! I hope you are all having a good weekend? Yesterday, I went through my card stash to see if I had any gaps - with my loss of mojo and the weather being dire, my cache was dwindling - I noticed I had no sympathy cards left (and as those kinds of cards are not something that you feel like making at the time you need them, I like to have a couple in hand). I had recently purchased the 'With Sympathy' embossing folder, which was perfect. I ran a white panel through it and then all that was needed was a little 'something' in the corner I felt. I tried to use a lighter ink, to keep the stamping more subtle, but it was a grey and came out darker than I had anticipated. Then, I had to try and 'tie it in' somehow with the rest of the card, so I filled in the flowers with my Gellyroll Stardust pen and then it looked silver! Anywho, here it is, for what it's worth . . . oh, and we have snow again here, so it will be sewing for me again today! Fabulous card Hazel, I love the elegant embossing and pretty floral detail. Your card is just right for a sympathy card - simply designed, but beautiful to look at. I think it will convey a lovely message of condolences. We are to get some snow here this week, too. I am so over it! I wish it would stop already. 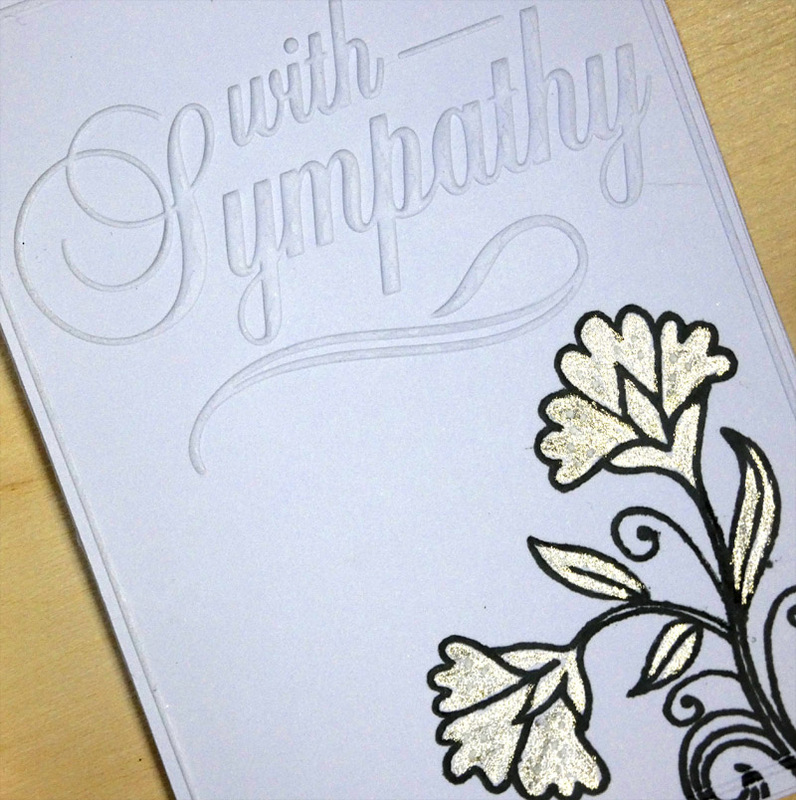 Beautiful card...love your sweet sympathy card! How fun to have time to sew, can't wait to see what you create next! I love the texture from your embossing folder and your beautiful silver flowers in the corner. Your sympathy card is beautiful and will be so appreciated. TFS my friend...stay warm and dry. 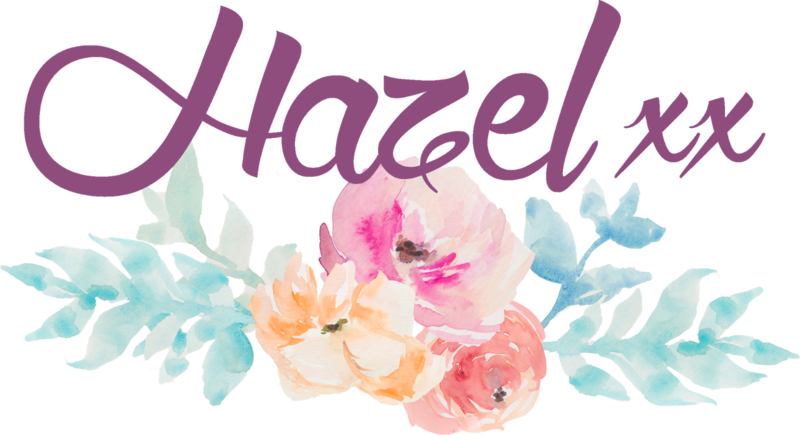 Hugs..
What a beautiful and appropriate embossing folder, Hazel! Your silver flower is perfect for the corner! They're predicting snow for us this week too. Not much though and it will melt quickly. 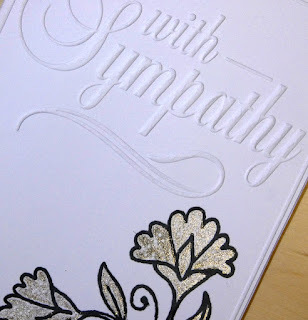 I've been eying that embossing folder as a perfect one for making a CAS sympathy card. I think the silver flower is wonderful, just not what you intended. So elegant and serene in the white and black, Hazel! The subtle shimmer adds the perfect touch! I have two feet of snow along my driveway that I'm hoping will melt this week!! This is such a wonderful embossing folder! And the shimmery flower in the corner goes perfectly with it!